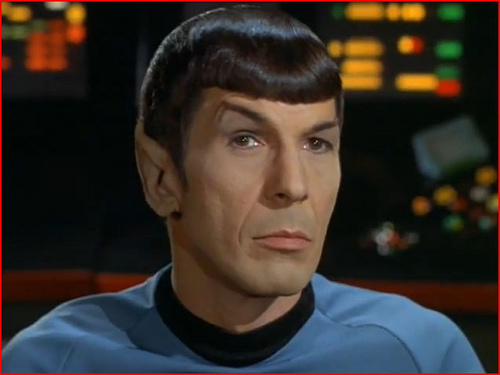 There’s a quote from Spock in one of the original Star Trek episodes – Amok Time. I learned a lot of important things from watching Star Trek, The Original Series in my youth. This particular bit of wisdom has stayed with me over the years. It is from an episode in which a very clever T’Pring logics her way out of her betrothal to Spock. When she succeeds, he leaves her with this thought. He has learned, in a very personal and painful way, the truth of it. It has turned out to be true in my own life as well. It has served as a reminder to be mindful of why I desire what I do. It hasn’t prevented me from making mistakes, but at least I can better understand them afterwards. It also reminds me of one of my favorite folktales to tell – Be Nice, Be Polite. It is a great story about the truth of having vs. wanting. So much of our lives are spent wanting, that we may not see clearly the path of how to be happy. The heroine of this story wants her child to be polite and in fact, that is not as pleasing in the end. You can hear the full story in the video below.